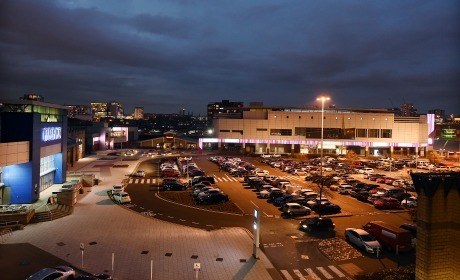 Customers often ask about the history of Springfield Quay where our award-winning entertainment complex now resides, so read on to find out more on the area’s historic past. 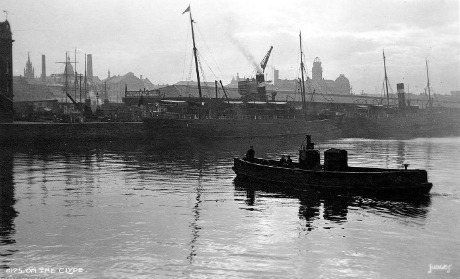 The River Clyde has always played an important role in the history of Glasgow, it is often said, "Glasgow made the Clyde, and the Clyde made Glasgow". 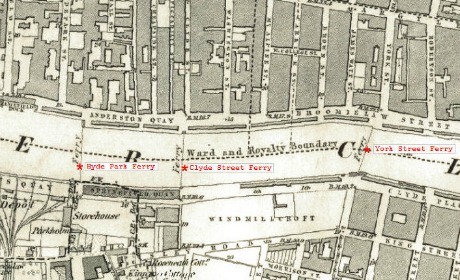 However in years gone by the River Clyde was very shallow in the centre of Glasgow and merchants had to off-load their cargoes at one of the ports and have them carried upriver on pack horses or in small boats. 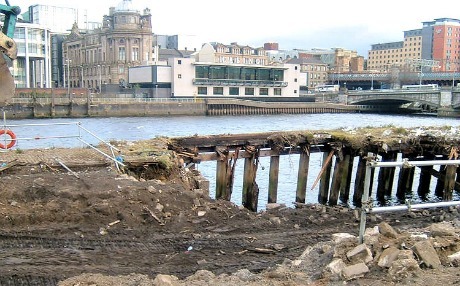 The tobacco and sugar trade expanded rapidly between 1707 and 1800 and as international trade developed pressure increased from the 'tobacco lairds' to deepen the river so bigger vessels could dock in Glasgow itself. At this time a succession of brilliant engineers, including James Smeaton, John Golborne and Thomas Telford, devised ways of deepening the river bed. They used dykes to channel the natural scouring power of the water and parts of the Upper Clyde were canalised. From around 1775 small coasters could safely come upstream. From 1818 foreign trading vessels could dock at the Broomielaw whilst dredgers and blasting continued to deepen the Clyde to accommodate ever larger ships. With the river now more navigable, the city's commerce and industries began to flourish. In 1837 work continued to widen the River Clyde and build a new quay on the south bank of the river at Windmillcroft, opposite the Broomielaw. The work was completed in 1839. Kingston Dock was Glasgow’s first enclosed dock which opened in 1867 on the site of Windmill Croft and offered 823 yards of quayside initially to accommodate sailing vessels. The Kingston dock was eventually closed to navigation in 1966, when work began on the construction of the Kingston Bridge. The bridge was named after the Kingston area which was located on the south bank of the river between Windmillcroft Quay and the former headquarters of the Scottish Co-operative Wholesale Society on Morrison Street in Tradeston adjacent to where the bridge now stands. The city has become renowned for its ability to adapt to change and over the decades has transformed into one of the most cosmopolitan cities in Europe. The area around The Quay is now widely recognised as the city’s entertainment hub with The SSE Hydro and SECC close by and The Quay, having being constructed in 1996 arguably led the way for establishing a range of leisure activities and entertainment on an iconic river front location. Now 22 years on, The Quay has developed again after a £1.5m makeover to update their image and facilities to provide entertainment at its best in the heart of Glasgow.